Dr Richard Barnett is a writer, teacher, broadcaster and award-winning poet. He studied medicine before gaining a PhD in the history of medicine, and now teaches the histories of disease and evolutionary thought at Pembroke College, Cambridge. 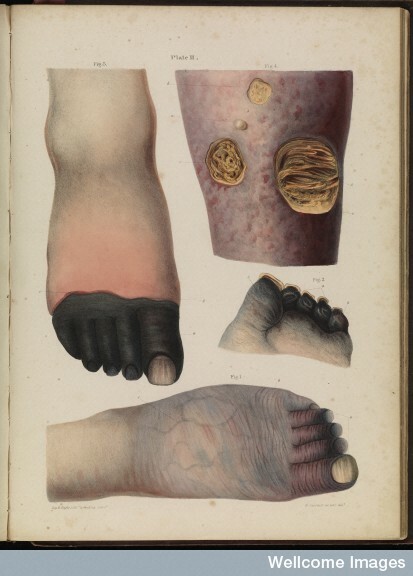 His first book was Medical London, City of Diseases, City of Cures which evolved into The Sick City Project, an interactive exploration into life, death and disease in London which was developed through Dr Barnett's Engagement Fellowship at the Wellcome Trust. 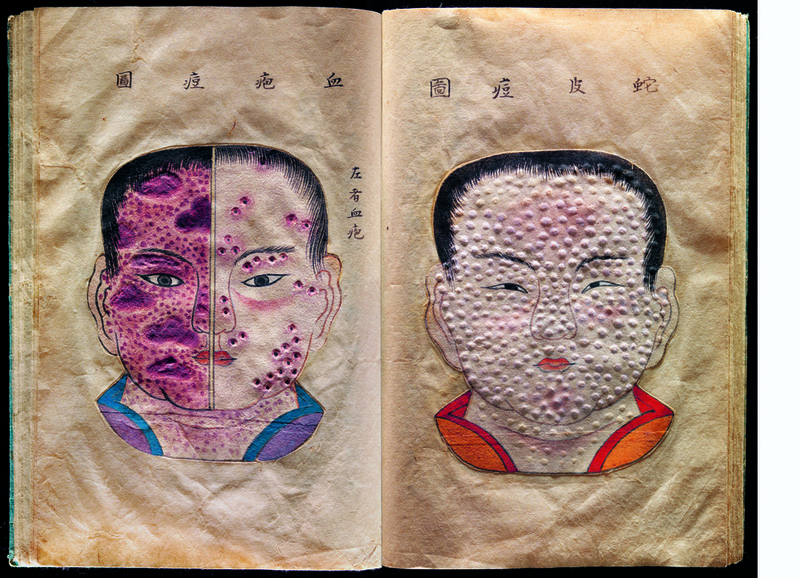 His latest book, The Sick Rose: Disease and the Art of Medical Illustration, is a collaboration with publishers Thames and Hudson and the Wellcome Trust. Dr Barnett has recently published his first poetry collection, Seahouses. PRN spoke to him about The Sick Rose and found out more about his project on simple burial in collaboration with The Natural Death Centre. Click to enlarge. All images are courtesy of Wellcome Images. The history of medicine, Barnett believes, is a bridge between art and science, and a path to examining universal concerns shared by all human beings. "We all have bodies, they all go wrong, we all have to face the prospect of death," he says. "Every age, whether it's the ancient Egyptians the Victorians right up to present day, have concerns about health and the body and disease and how we live together. Not only science and the ethics, but also the politics and the morality of medicine are all there and it's a wonderful way of opening up a very fundamental window into history." Though medical practices change, and differ from culture to culture, Barnett suggests students of medical history try to avoid what he calls the 'progressivist' way of thinking: that the past was "darkness, ignorance and superstition," which has given way to what is now a "wonderful age of truth, because these ideas about the body are always in transformation." One of the most significant transformations in thinking, he says, is the one that happened around the time of the French Revolution. This was the move from a classical Greek and Roman way of thinking about the body in which imbalance in the 'humours' causes unwellness. The shift, he argues, was from this concept to "what we would call a 'modern' way of understanding the body comes in. Out go all of these generalised ideas about holistic imbalances and what starts to come in is a set of secular, materialist ideas about the nature of disease." Key to these ideas, the practices they generate, is that illness is a specific condition or conditions rather than a product of broad environmental factors. 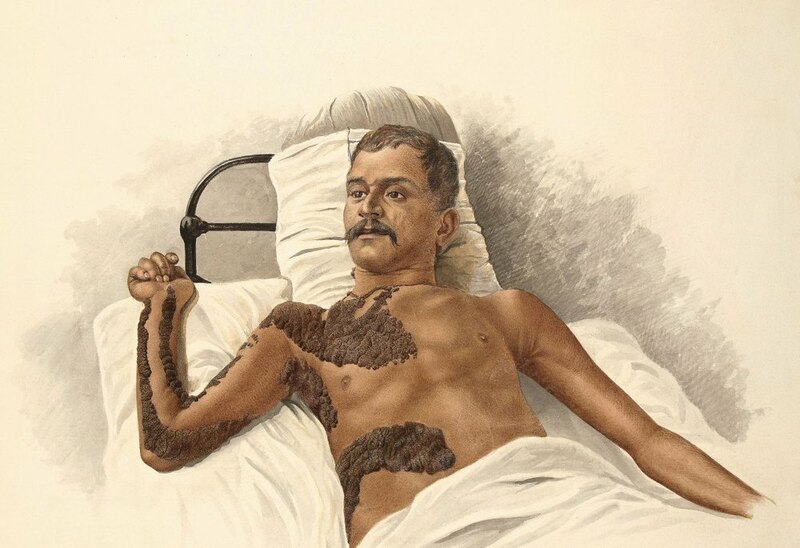 This leads doctors into a way of thinking about disease which is confrontational, even military: the doctor is battling the disease on the terrain of the patient's body. "The problem with this," he says, "is that failure and death are a kind of military defeat, so it means that doctors become very bad for much of the 19th and 20th Century about discussing the death of their patients." By contrast, death, Barnett says, is "not a failure and it's not something that has to be silenced or excluded." 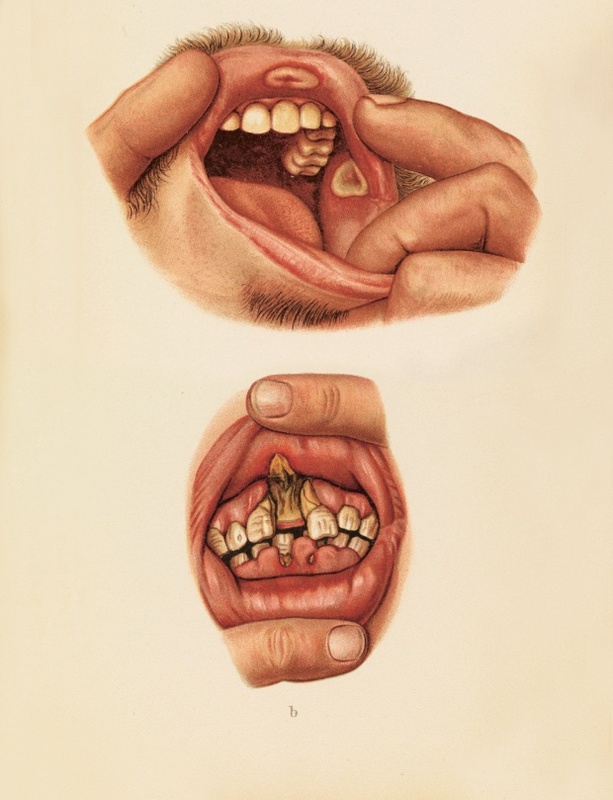 In his book The Sick Rose, Barnett deals with medical illustration in the very late 18th to the very early 20th century. The 'Rose' herself is one of two images, a 'before' and 'after' shot of a young Viennese woman who contracted cholera in the 1831 epidemic. Working on the book, Barnett found himself drawn to constructing stories not only around the people it features, but the organs that make them up: hearts, livers, intestines. The organs, he says, "were just as human, these were still human remains, they still had a story attached to them," which they should not be denied because they lacked a face or obvious human personality. Underpinning Barnett's approach is his own experience: that of having almost died from peritonitis. "I've had a very close encounter myself, and I've certainly been left with a very much more nuanced and tenuous sense of my body, and its limits," he says. That sense, more precisely, is "about what it's like to be embodied, and also about the way in which it goes wrong. I've always found the phrase 'enjoying your health' to be quite strange, I think health if you're lucky is something you just don't notice." The purpose of it, he says, is not to shock or disgust people, but rather to provoke thought "in new ways and in old ways that we've forgotten about the strange experience of being bodied." An area of special interest for him is anaesthetics, and the idea that consciousness is reversible. "The fact that we can be induced by drugs that are so chemically simple I find fascinating. I can't help feeling that that tells us something about the nature of consciousness and one day some every clever person will come along and see that and we'll all wonder why we didn't see that before." The anaesthetic can be not only a break from intense pain, but also, he says, in a more metaphysical sense, "a break from being you, just for a little while." Of the final break with life, Barnett says, our attitudes are still in flux. He's interested in exploring new approaches to death. "With the decline of Christianity as a kind of organising force and presence in our society that we've lost that sense of a default, of a set of rituals that just work for everybody and that's a good thing and a bad thing," he says. Barnett is working with Sophie Churchill, head of the National Forest, addressing the idea of simple natural burial, and of creating something that's accessible to more and more people. "All discussion of a good death is about a good life, it's really coming back to the question of how do you live a good life?" he says. "That's what we're trying to talk about and what role death should have in that."